Function seldom sits high on the list of priorities when it comes to car purchasing. Most people opt for style, or image, or prestige, even ego. Few go for sensible solutions to their motoring needs. 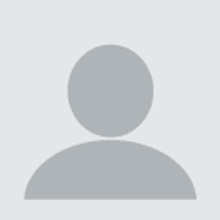 Then there are the people who buy the Mercedes-Benz B-Class – in ever increasing number in recent years. It's practical, with a tall body that makes for a spacious interior – you need a Mercedes S-Class saloon to get more rear legroom. It has a large boot and the variable luggage space can be arranged in many ways. It has a high seating position to provide excellent visibility. People say they buy 4WDs because of their high seats, but you and I know different don't we? 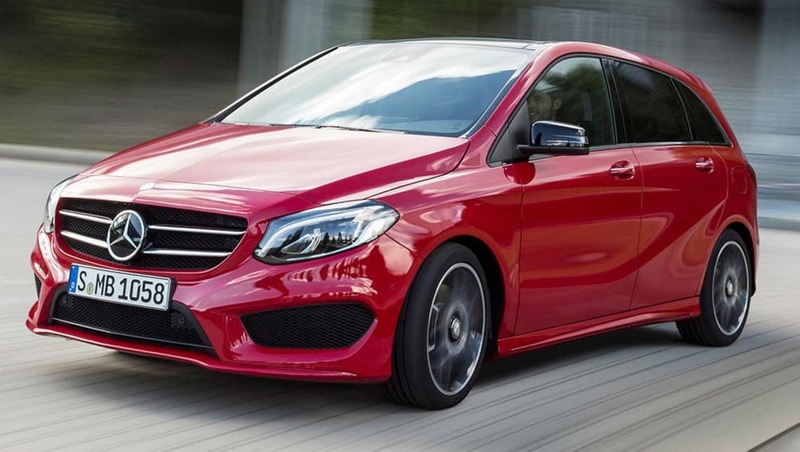 Merc's B-Class is easier and safer to drive than small 4WDs and is lighter and therefore more economical on fuel and produces fewer emissions. 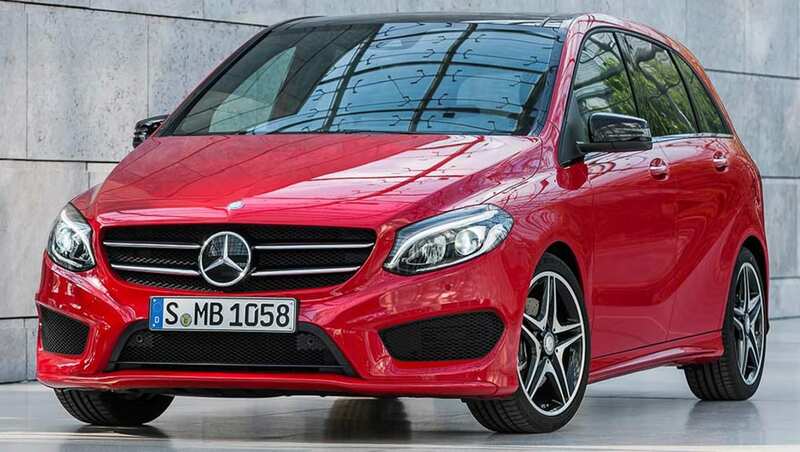 Early in 2015 the B-Class got a revamp in its shape and the front is now bold(ish) in its stance. It follows the current fashion of having large holes in the front - the headlights, foglights, upper grille, lower grille – all combine to make a statement. The rear bumper has received a mild revamp, giving a slightly wider appearance. The sweep up of the lower style-line on the doors and the way the D-pillars taper downwards to take the visual bulk out of them works nicely, but you have to admit this isn't the most stylish car in the Mercedes range. The free-standing head unit display is larger than previously, with a diagonal of up to 8 inches. 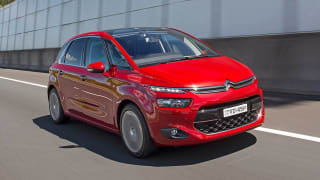 The 2.0-litre four-cylinder engine uses a high-pressure turbo to let it produce 155kW and 350Nm. The big grunt is available from not much over idle, just 1250 rpm sees you at the start of a torque graph that's more plateau than curve. Love it. Drive is to all four wheels by way of Mercedes' 4Matic system. This isn't intended to make it an off-roader, but rather to get all that torque to the ground fast when the driver demands it. AWD can also be a real boon on slippery roads, either due to rain or during a trip to the snowfields. B-Class can also be bought with a 1.6-litre turbocharged petrol engine in two stages of tune – 90kW and 200Nm; or 115kW/250Nm. And there's a turbo-diesel with a 2.2-litre four-cylinder producing 100kW and 300 Newton metres. Power goes to the front wheels in all models but the all-wheel-drive B 250 4Matic we reviewed. The full suite of electronic stability aids will assist if traction looks like being lost. If something still goes wrong Mercedes-Benz's Pre-safe system will do everything it can to minimise the effects of the crash. Finally, no fewer than nine airbags will do everything they can to cushion the occupants in a crash. There are two curtain airbags on each side due to the extended interior, hence the larger than normal number of bags. Engine performance is excellent, with little turbo lag and the ability to get all four wheels handling the torque right off the line. The latter certainly assists the zero to 100km/h time of just 6.7 seconds. It took a petrol V8 to achieve acceleration like that not too many years back. As is the way with many dual-clutch transmissions the Benz unit can be slow and awkward at times when speeds are very low, such as in stop-start traffic. We suggest trying it for yourself. Handling is neat and tidy and there's no real sensation that you are in a spacious family wagon. That's partly due to the 18-inch wheels and low-profile 40-series tyres. Ride comfort is compromised somewhat, but that's the price you pay for extra grip in a sporting hatch. The seats are at just the right height for sliding in and out of the B-Class, an important factor for those of who aren't as young as we would like to be. Access to the rear seats through wide opening doors is simple and you can stretch your legs outback there, even if those in the front are demanding lots of legroom. As befits a compact people mover there are numerous stowage areas including a handy centre console and sensibly sized door pockets. Noise levels are generally well isolated, but Australian coarse-chip surfaces did create more noise than we expected and the engine is noisier than expected at times. It's great to have limo-like space in a car that's simple to drive and easy to park. 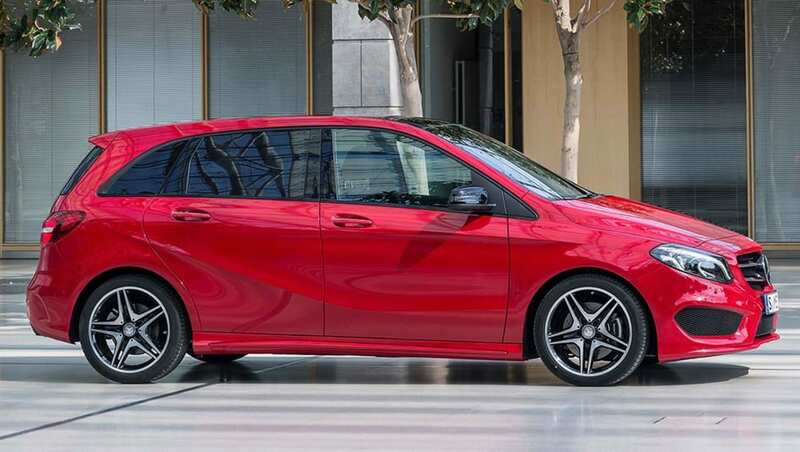 Mercedes-Benz B-Class not only provides that, but does so at a price that would have seemed impossible for a Mercedes a decade ago. The list starts at $41,400 for a B 180, with our B 250 4Matic coming in at a still reasonable $54,200. On-roads have to be factored in, but Mercedes-Benz dealers are running hot in sales at the moment and may well be able to help you out with them. Just ask, you've nothing to lose. 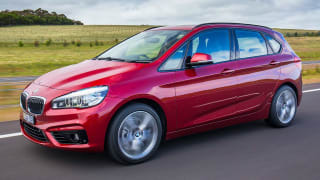 Philip King road tests and reviews the BMW 2 Series Active Tourer with specs, fuel consumption and verdict. 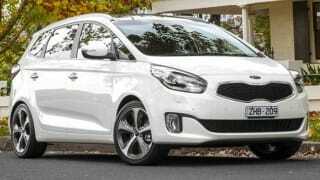 Kia has now filled its lineup with excellent offerings following the recent introduction of the new Rondo compact seven seat people mover.